Notopterygium is an herb with a long history in Oriental medicine. It is often included in patent blends for treating joint pain and rheumatoid arthritis. It is a relative of the angelica species, and while having similar properties it also has its own strengths for healing upper body joint and muscle pain. It is also used to treat the early stages of colds with accompanying chills, fever, and body aches. The plant has become endangered. Please use cultivated varieties and not herbs harvested in the wild. 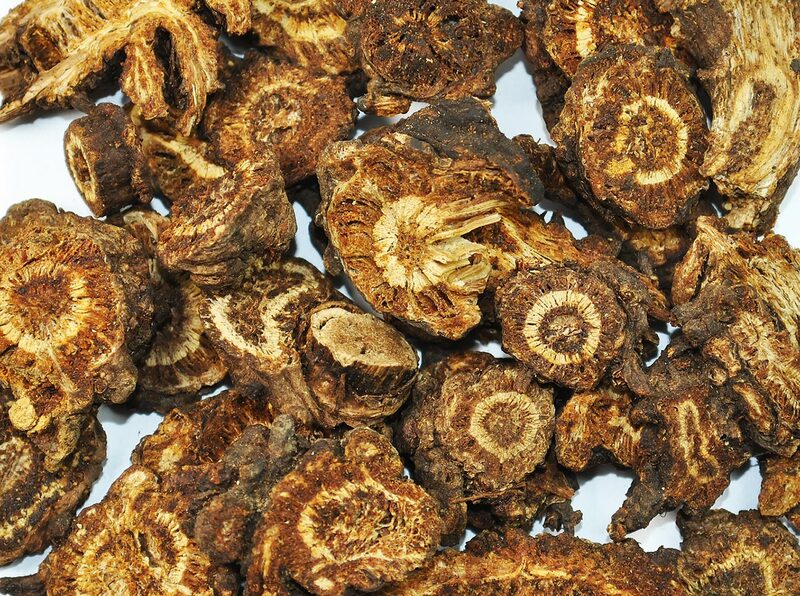 Below is an overview of Notopterygium (Qiang Huo), combining and interpreting the best of Western Science, Traditional Chinese Medicine (TCM), Shamanism, Folklore and more. 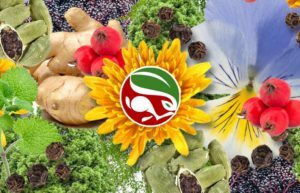 Gain a balanced and thorough understanding of the healing properties of Notopterygium (Qiang Huo). Sign up, FREE, for access to all of WRI Healing Herb Fact Sheets and Exclusive Member Only Offers! Your satisfaction is guaranteed. 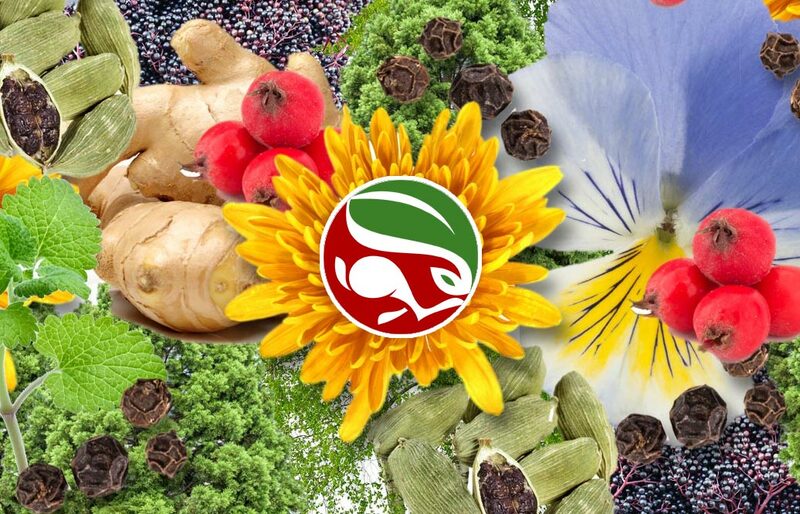 Find out what you DON’T know about how and why a specific herb works. Take Full Advantage of the Herbs You Choose! Medicinal Uses: Colds, flu, joint pain, arthritis, bodyache, headaches. Key Actions: Clears Wind and Wind Cold, Eliminates Dampness, Unblocks Painful Obstructions, Releases the Exterior. Medicinal Uses: Colds, chills, fever with no sweating, headache at the vertex or occiput, stiff neck, sharp joint pain, arrhythmia, shoulder pain, upper back pain, muscle pain, eczema caused by allergic reactions, general feelings of heaviness. Notopterygium is a perennial herb in the family Umberlliferae. Its rhizomes are cylinder-shaped or irregular lumps, and are dark brown to reddish brown. The plants stems are cylindrical and hollow with a lavender surface and vertical stripes. The basal leaves have a long handle, which extend into a membranous sheath from the base of both sides. The plant has greenish-white five-petaled flowers that bloom in dense umbellues from July to September, and fruit that ripens from August to October. Both varieties of notopterygium are native to East Asia. Today, it is mainly grown in Sichuan, Qinghai, Shaanxi, and Henan. It likes mountainous terrains, and grows on forest edges and areas that border the grasslands of these higher elevations. Flavors/Temps: Acrid, Bitter, Warm, Dry, Ascending, Aromatic. Caution: Considered safe, but overdosing could cause vomiting. Not recommended for headaches or joint pain caused by blood deficiency, which are interior conditions that are not caused by external Wind and/or Damp. It is not recommended for use during pregnancy. History/Folklore: Notopterygium is known in Oriental medicine for its ability to expel Wind and Damp. Two External Pathogenic Factors associated with the symptoms of colds and flus, headaches, congestion, joint pain, aching shoulders. It is best known for treating arthritis, body aches and joint pain especially identified with the upper body, shoulders, and back of the head. It is considered excellent for powerfully eliminating external Dampness. It is particularly useful for treating what are called Tai Yang headaches. Originally thought to be the same plant as angelica, it is has long been recognized as its own variety of plant. Both plants are in the family Umberlliferae, and have similar properties. However, notopterygium is considered to be stronger and have a stronger flavor than angelica, making it better for treating fevers. Compared to angelica, notopterygium is a more strongly upward moving herb with greater ability to cause sweating, making it an excellent herb for treating spinal diseases and pain in the upper body and the back of the head. Comparatively, angelica has a stronger descending quality, making it better for treating rheumatism of the lower body, and joint pain in the foot, low back, legs and shin. The two herbs are often paired together to enhance their individual and mutual properties. Notopterygium is also often paired with cinnamon for expelling Wind and Cold. Comparatively, notopterygium is better for treating Wind Damp in the head, neck, and back, while cinnamon is better for treating Wind Damp in the shoulders, arms, and fingers. While both notopterygium and ledebouriella specialize in expelling Wind, notopterygium is considered to be the stronger of the two herbs for this function. Notopterygium reaches more deeply into the body penetrating to the bones and tendons. Notopterygium, ledebouriella, and atractylodes are often combined to treat Wind Cold exterior syndromes. Notopterygium, ledebouriella, and turmeric are often combined to treat Wind Cold Damp Bi Syndromes associated with joint and arthritic pain. Notopterygium is considered a guide herb to the governing vessel and greater yang channels. The herb has been used as an injectable in China for its analgesic (reduce pain) and antipyretic (reduce fevers) properties. Notopterygium roots and rhizomes are aromatic, cylinder-shaped or irregular lumps, and are dark brown to reddish brown. The recommended dosage of notopterygium is 6 to 15 g for teas and decoctions. 3 to 10 g when used in pill or powdered forms. Coumarin compounds (Isoimperatorin, Notopterol, Bergaptol, Nodakenetin, Imperatorin, Marmesin), Phenolic compounds (Ferulic acid), Sterols, Volatile oils (Thujene, Pinene, Terpinene, Limonene, Apiol), Fatty acids, Amino acids (Aspartic acid, Arginine, Leucine, Valine, Methionine), Sugars (Glucose, Fructose, Sucrose), Phenethyl ferulate. Due to over harvesting, environmental impacts, and destruction of habitat, notopterygium is listed as an endangered species. Programs are underway to promote its cultivation and begin restoring the herbs habitat. It is thought that the roots harvested in the spring are better quality than the roots harvested in the fall. Ancient Oriental texts describe notopterygium as being a “masculine dispersing Qi” herb. Find out what you DON’T know about how and why herbs work. How, Why, and When do you use a particular herb? These courses include BOTH the energetic traditions of the East and the science of the West as well as recipes, gardening tips, herb identification tips, essential oil information (if it applies), and much, much more! Save Time with eBook Volumes! 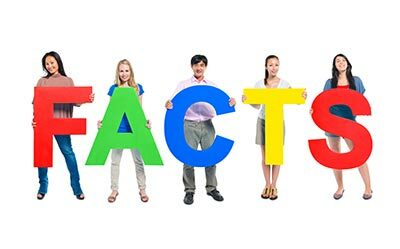 Download 50 Fact Sheets at once in our NEW easy-to-download and print eBook Volumes. (Each volume contains 50 different EWHA™ Healing Herb Fact Sheets!) It’s fast and simple. Join us for FREE to receive Special Offers and updates about our upcoming courses, FREE materials and more. References: For a complete list of references please visit our References and Resources page. Disclosure: If you purchase from some links on this web page, we may receive some kind of affiliate commission. However, we only ever mention products we would recommend whether we were being compensated or not. Thank you so much for your support of White Rabbit Institute of Healing! ATTENTION: All material provided on this website is for informational or educational purposes only. It is not intended as a substitute for the advice of your healthcare professional or physician. Redistribution permitted with attribution. Be Healthy. Be Happy. Be Whole. Be Free. ATENCIÓN: Todo el material proporcionado en este sitio web es sólo con fines informativos o educativos. No es sustituto del consejo de su profesional de la salud o médico. Esté sano. Sea feliz. Siéntase completo. Sea libre. We are dedicated to fusing scientific, herbal and a wide variety of energetic healing practices, from Traditional Chinese Medicine (TCM), to Ancient, Shamanic and Traditional perspectives. Explore our Information, Resources, Directories, Courses and FREE materials. Be Healthy. Be Happy. Be Whole. Be Free. 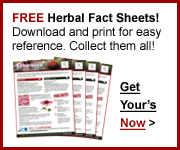 Sign up as a member, FREE, for immediate access to all our Healing Herb Fact Sheets. You’ll receive email updates when we release new herbs and courses and you’ll get special discounts and other fun updates. Join our next 30-Day “Love Your Liver” Detox Challenge! A Health Boost and Reset to Balance Body, Mind, & Spirit Using Traditional Chinese Medicine. 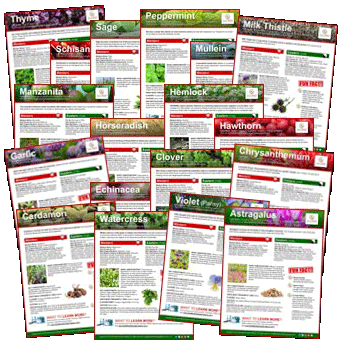 You'll also recieve our Free Healing Herb Fact Sheets and latest news. Your privacy is guaranteed. Yes, I consent to receiving emails from White Rabbit Institute of Healing. Thank you, you have joined our wait list! We'll let you know when our next 30-Day “Love Your Liver” Detox Challenge is open. 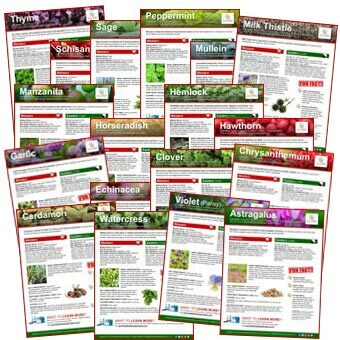 Complete the form below for immediate access to ALL our Herb Fact Sheets. Thank you for joining us! Please check your email for details on how to access our free Healing Herb Fact Sheets. Be sure to check your spam folder and promotions tab if you have one.